Nirala group is offering residential apartments of 2 and 3 BHK with a wide range of sizes in it. Nirala splendora is a luxuriant and affordable township which comes in pocket of all people who desires luxury and exclusivity. 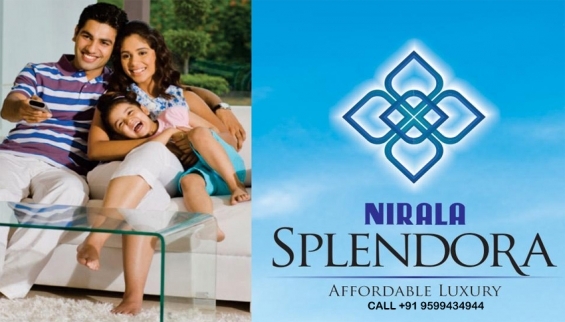 nirala splendora is fully furnished with modern amenities and world class facilities. It is amalgamate of leisure and comfort. Price starts from Rs. 3400 per sq.ft with having great payment plan option through top nationalized. The project is being surrounded by lavish green belt which will be best for both for younger and older. Some of the contemporary and modern amenities in nirala spelndora include kids play area, gated society, rooftop swimming pool, shopping complex, indoor game playground, special place for meditation, well equipped gymnasium and more.